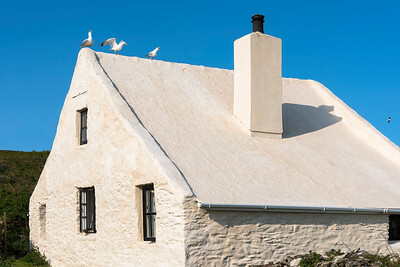 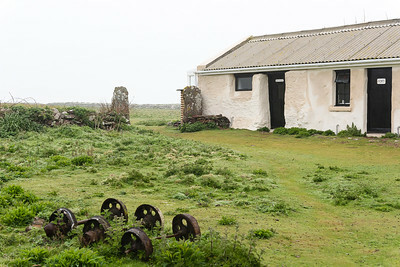 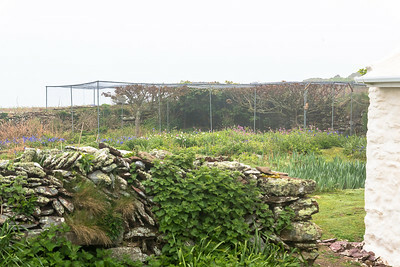 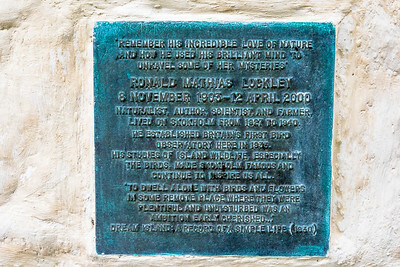 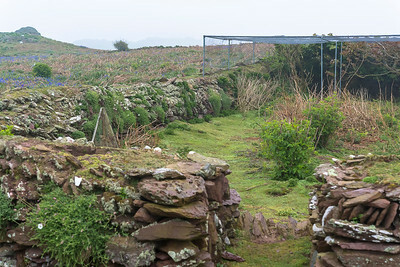 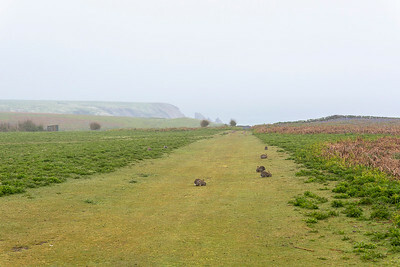 The old garden fence and one of the five Heligoland bird traps at Skokholm Farmhouse. 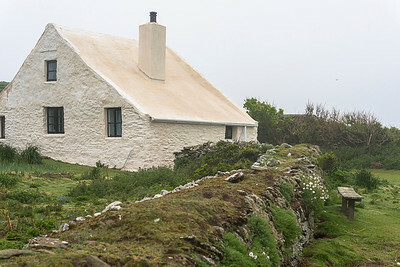 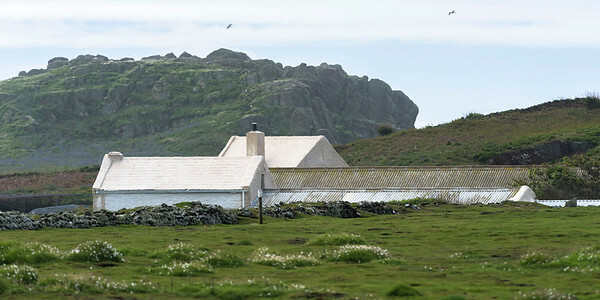 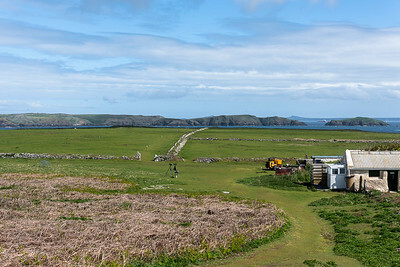 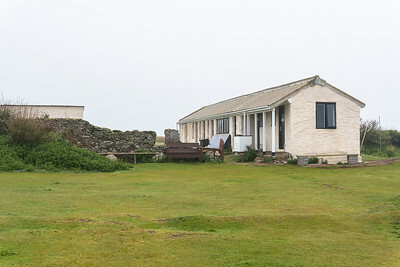 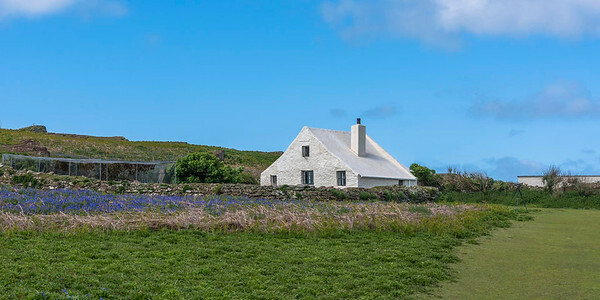 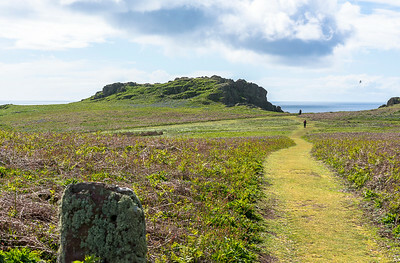 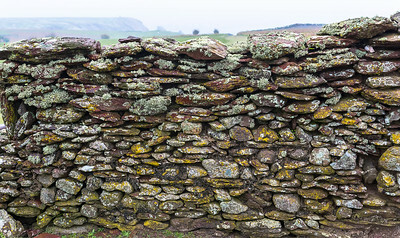 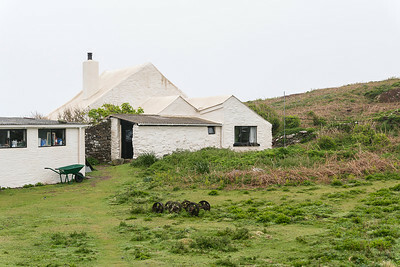 The farm and the old stone fences on central Skokholm. 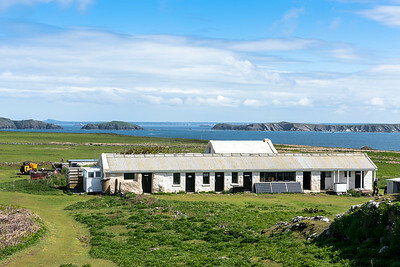 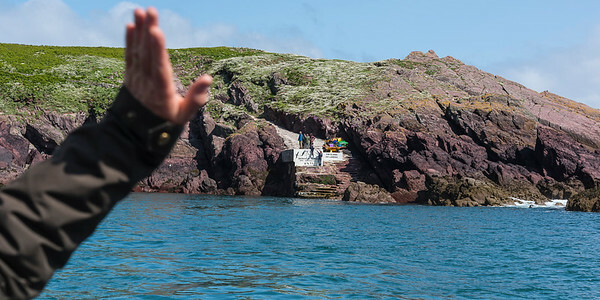 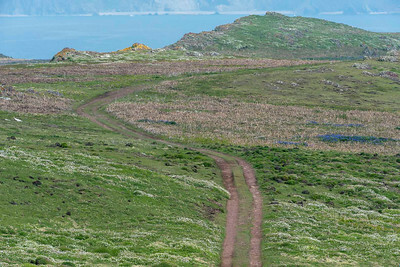 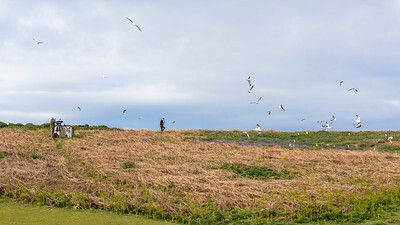 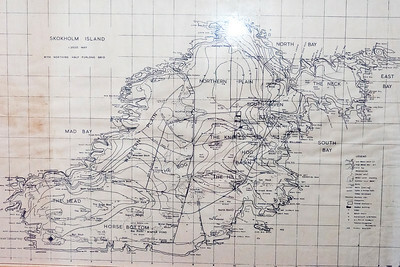 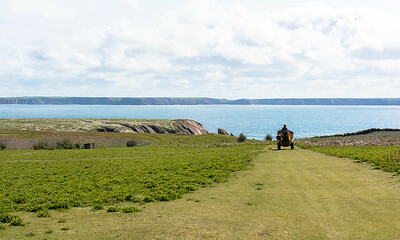 Skomer in the background. 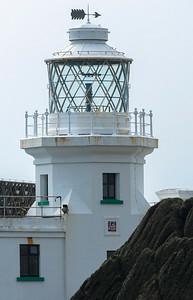 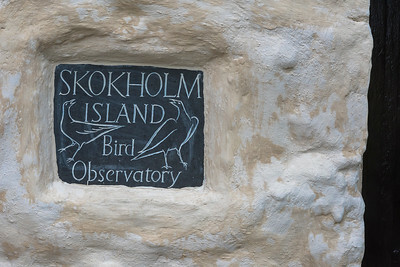 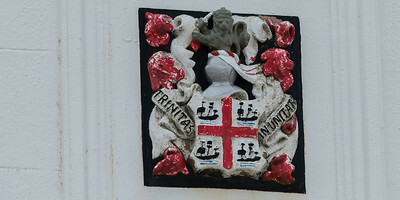 Crest with Coat of Arms on the Skokholm Lighthouse - Corporation of Trinity House of Deptford Strond. 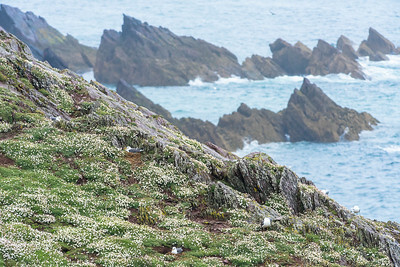 Lesser Black-backed Gull - BTO people working with tagged gulls. 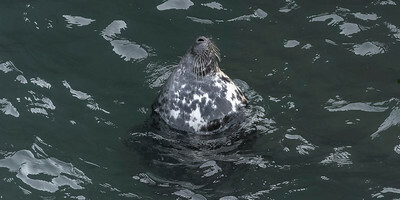 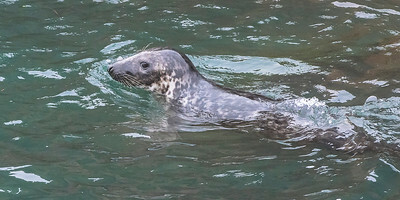 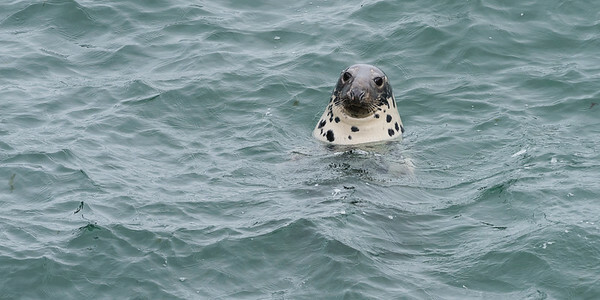 Gray Seal at the harbour. 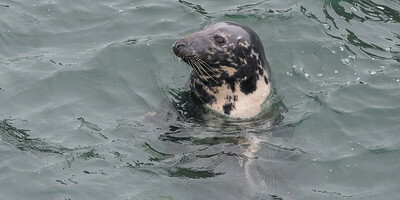 Gray Seal deep at sleep at the harbour.